Rocks are rarely associated with fun! Well, unless you’re a geologist or have a particular interest in these lifeless matters. 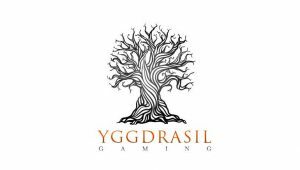 But as always you can count on Yggdrasil Gaming to bring the fun where no one else can! And it’s certainly what the game studio did when they created Gem Rocks Video Slot. Indeed, it’s not every day that you’ll have the chance to pocket 9000x your stake and see rock monsters come to life on the reels and an explosion of symbols around them. So make sure to read this review to know more about this 4096 ways to win game! Type: Video slot, Gemstones theme. Reel: 6 reels and 4 rows. First of all, know that Gem Rocks Video Slot is an avalanche game. Which means that any winning combinations, will explode as the symbol drop down to make room for new ones. What’s more is that in this game you’re rewarded for the number of consecutive wins you get. In fact, when you load the game, have a look on the left-hand side of the reels. You’ll notice a meter. And as you play and make winning combos, you’ll see the meter increase through the three different levels. The first stage of the meter only has 2 bars, and you’ll complete it after two consecutive wins. The second stage has three steps, and you’ll progress to the final stage of the feature after five consecutive wins. The last and final stage of the feature has, of course, four steps and you’ll complete the meter after nine consecutive wins. What do you get after completing a level? Well, it’s simple! You’ll unleash the rock monster! Doing so means that a giant monster will pop on your screen and you’ll get an extra 2×2, 3×3 or 4×4 symbol on the reels to help you continue your winning streak! All and all, the gameplay of Gem Rocks Video Slot is quite exciting. In fact, this slot not only offers you the possibility to make winning combos in 4096 ways. You can also win by making clusters! Indeed, as you play, you’ll notice colossal symbols landing on the reels. And if a colossal symbol is adjacent to 2 or more symbols of the same kind, it’ll divide up to form a cluster, and it will also trigger the avalanche feature. Which means if you choose to play this game you’ll have plenty of ways to get your hands on 9000x your stake! Why not giving, Gem Rocks Video Slot a spin today? Many of our casino partners offer Yggdrasil games so you can claim a bonus to double your chances of winning big! Have fun!